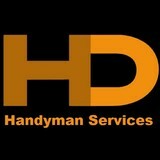 The only Handyman you need to call, no job too small, from lawns to lighting, we can do it all. Fully insured, bonded employees. HD Home and Property Services, The Clear Choice for all your maintenance and handyman needs. With over 20 years of experience in providing top quality home restoration and repair services, and backed by satisfaction our competitors can't match, isn't it time to give us a call? Whether you have small or large projects for the interior or exterior, we offer the quality you expect and the customer care you desire to make your home repair and restoration project dreams a reality today. Skip the stress of unlicensed or inexperienced contractors with the trusted quality of Handyman Connection. We offer both residential and commercial handyman repairs, call us today - One call. One connection. 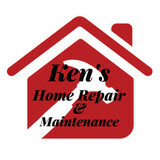 Ken's Home Repair & Maintenance is proud to serve the greater Grand Rapids area. We provide a variety of home repair services from drywall to flooring, to windows and doors, to siding and gutters, etc. Measured Improvements LLC- Property Services and Solutions. Dedicated to providing top notch trades work with service you can depend on. Jack of all trades, master of none. We provide a large range of services from small one time jobs to full interior repaints and make ready services. Professional, insured. German made machine moving skates and hydraulic toe-jacks shipped from the USA. Italian made mini cranes and American made hoist rings. We are a family owned and operated Company that enjoy building relationships with our customers and knowing that if something goes wrong or needs to be fixed, they will be calling us. From changing out water spikits that leak, free of charge because we had one on hand and were in the area or donating a roll of Tyvek to a customer to complete a project they were working on while we were putting on their new roof. It's the little things that count and showing our customers that they are more than money to us is very rewarding! What can a local Caledonia handyman do? While home handyman services in Caledonia, MI usually cover most of these things, sometimes it’s better to hire a specialized professional so do certain jobs, especially if it’s related to major plumbing or electrical fixes. Here are some related professionals and vendors to complement the work of handyman: Heating & Cooling Sales & Repair, Plumbers, Electricians, Roofing & Gutters. Find a Caledonia handyman on Houzz. Narrow your search in the Professionals section of the website to local handyman servicesin Caledonia, MI and read reviews and ratings to find one that fits your needs.